Don’t worry, the old team are still here too but we’ve boosted our numbers, welcoming a range of people with different job roles and skill sets. A couple of the faces you’ll recognise already… Ben Gwinnett and Sarah-Jane Bancroft have both been promoted to Visitor Experience Assistants. Sarah-Jane will be working across the site, interacting with visitors to improve their experience and running programmed events. Ben will be supervising the Playbarn to ensure everything is running like clockwork. He’ll be joined by Tanya Perry who is a drama graduate and has recently returned from teaching English in Italy. Make sure you say “Ciao!” if you see her. Joining Sarah-Jane is Jill Judd, a former geography teacher who enjoyed the field trips so much she’s decided to forge a career in outdoor visitor experience. She’ll be using her skills to work closely on our education programme and with groups/tours. Over on the ranger team, we’re delighted to welcome Simon Railton as a Conservation Ranger. He’s combined his skills in the sport and leisure industry and countryside management to start a second career and will be a huge assett to the team. 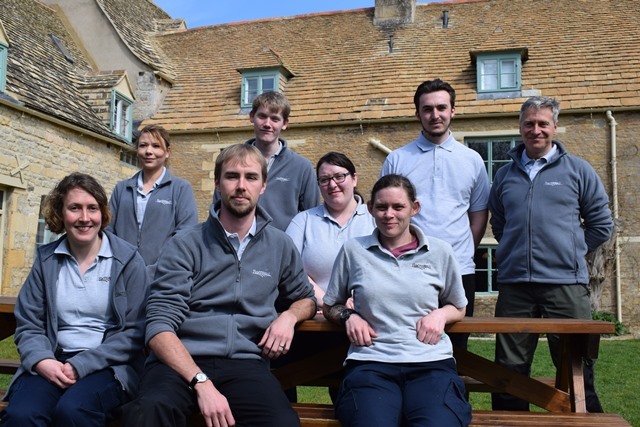 Also working on the team is Oli Dobson and Amy Hunt who are our Farm Experience Assistants. They’ll be leading activities such as tractor rides and working with livestock. Both have extensive experience; Oliver used to manage horse drawn sligh rides in Canada and has worked on a 100,000 acre bison ranch in America. Amy comes from a big farming family but has formerly worked as a wedding coordinator so is hoping to use her event planning skills at Sacrewell as well. Last but not least we welcome Jack Pishhorn as our Events and Programming Officer. Jack is still a student at the University of Manchester and is due to graduate this summer. He has previously completed an internship in the marketing and events department at the visitor centre and really impressed us at interview with his ideas and quick-thinking. We wish all of our new team members lots of luck in their new roles.